Autism is a developmental disorder which affects the social interaction, verbal and non-verbal communication. It can also lead to a restricted and repetitive behavior. This will affect how the information is processed in the brain. Autism spectrum disorder (ASD) and autism are commonly used terms for a group of a Neuro Development Disorder which is related to the brain development. These disorders are related to the various characteristics as the social interaction and repetitive behavior. Globally autism is estimated to affect about 21.7 million people. Normally, this disorder will appear within the first three years of a child. It affects boys three to four times more often than girls. Most parents of autistic children will suspect that something is wrong by the time the child is about 18 months old and will seek the help by the time the child turns two. Though the exact causes of Autism are not known, the genetic factors seem to be important. As per research, most cases of autism appear to be caused by a combination of autism risk genes and the environmental factors that influence the early brain development. The environmental factors such as infectious diseases, certain foods, pesticides, smoking, prenatal stress, air pollution especially the heavy metals and particulates and the illicit drugs have been claimed to contribute or worsen the autism condition. The stem cells are known to have a tangible application in Autism and by property they are postulated to induce the neurogenesis or regeneration of the affected portion of the brain matrix. Consequently, they will bring about a significant reversal of the symptoms. The infusion of these cells will improve the blood and oxygen flow to the brain and replace the damaged neurons thereby stimulate the formation of the new arteries. Improvement will be reached through restoration of the lost or impaired neuron connections and formation of the new neuronal connections. All these will speed up the brain reactions through the improvement of the synaptic transmission and development of the new neuronal connections. The stem cell treatment is accompanied with other intervention which can help to monitor the condition of the patient with Autism. The stem cell will help to restore the nerve cells function and angiogenesis process which will help to restore the blood vessel. This in turn will help to supply the oxygen to the damaged tissues. Also the paracrine activities or growth factors released from the stem cells will enable the cell differentiation and immune modulation. Due to the neural regeneration and better immune responses, the stem cells will enable the cognitive awareness, better language and communication skills, sensory perception and social/behavior skills. The procedure for treating Autism using the stem cells includes Lumber puncture and intravenous injections and other intervention will depend on the patient’s condition. The stem cells can bring in better coordination and social behavior in patients undergoing the stem cell treatment in India. 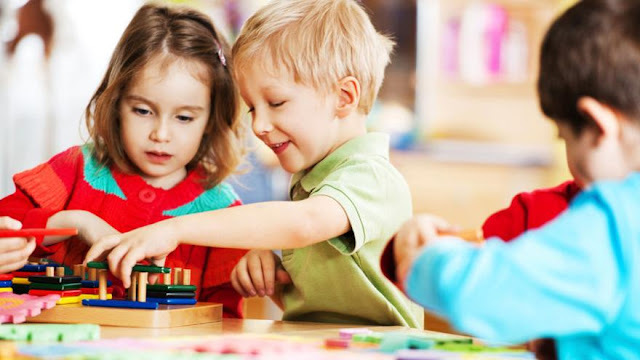 All the symptoms of autism such as social interactions, speech, hyperactivity, mannerisms, emotional well being, repetitive behaviors, maintenance of eye contact and overall communication skills shall improve considerably post therapy. The improvements may vary from patient to patient and this cannot be guaranteed. The standard documents are test or the doctor’s summary of a brain MRI or CT and ADOS or ADIR if applicable. Dheeraj Bojwani Consultants provides assistance to patients seeking the stem cell treatment for Autism in India. If you are seeking stem cell treatment in India for autism, send us your detailed medical history, test reports to get your initial consultation with our doctors and ascertain whether you are eligible for a stem cell treatment. Get in touch with us by filling up a free consultation form on our website. Hi, this is Eunice Estrella, I am from New York, US. My Daughter Stepanie Was suffering from Autism Spectrum Disorder, Then I went to India for one of the Stem Cell Treatment for Autism. Overall it was best medical tour experience; I would like to thanks, Dheeraj Bojwani Consultants in India and his team for having shown professionalism & care. I should mention that the quality of medical services provided from entrance to exit of the patient was standard. Hey, this is Gideon Mensah from Nigeria. I had been to India for my for my child Autism treatment. I am very thankful to Dheeraj Bojwani Consultants and his team as he provide best medical treatment and best doctors who handled most of the Surgical procedure. I received best medical treatment the results that I expected. The hospital staff is so friendly, Dheeraj bojwani consultants a supreme medical tourism service provider in India made me feel comfortable. Medical Staff and Doctors were amazing. I liked how the Dheeraj Bojwani Consultants did my pre-op consultation. He made me feel comfortable in my decision and the surgery procedure would be accurate with what we discussed.